Hemp Protein is a very good vegan protein source - it contains all the amino acids we need and is also filled with antioxidants, minerals, fiber, and unsaturated fats good for our heart. So far so good. The downside is that the taste can be a little … well let’s say earthy, and the texture a little gritty. 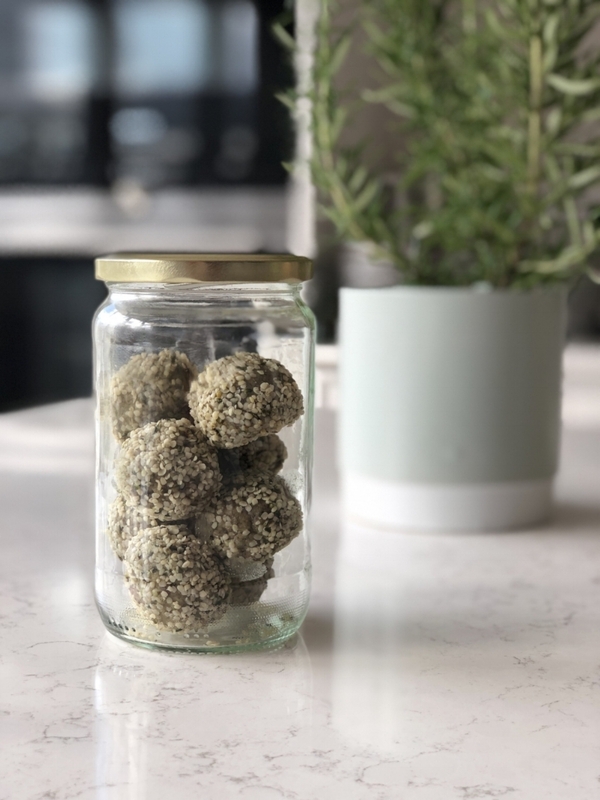 So if you find yourself with a bag of hemp protein powder and you realise that you don’t like it very much as a post- workout protein shake, fret not: the powder is of great use in baking and raw treats such as these little beauties - Hemp Seed Protein Balls. They only take a few minutes to make and will last a good few days in the fridge. 1. Blend all ingredients except the hemp seeds in a food processor until it is well combined and forms a sticky doughball. If the mix is too dry, add one or tablespoons of water. 2. Spread the hemp seeds out on a small plate. 3. Use an ice cream scoop to roll the balls into equal shapes. Roll each ball in the hemp seeds and press the seeds lightly in with your fingers. 4. Place in the freezer for about 3 hours to let them firm up, then keep in the fridge.